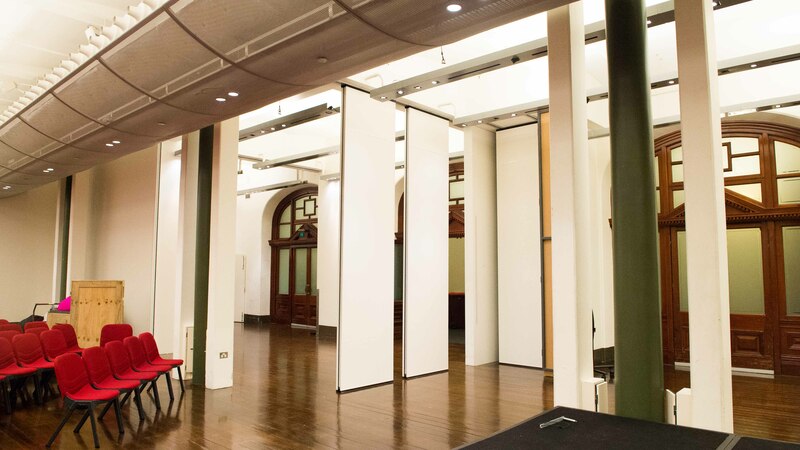 Operable Wall panels are factory assembled, top supported, and manually operated. 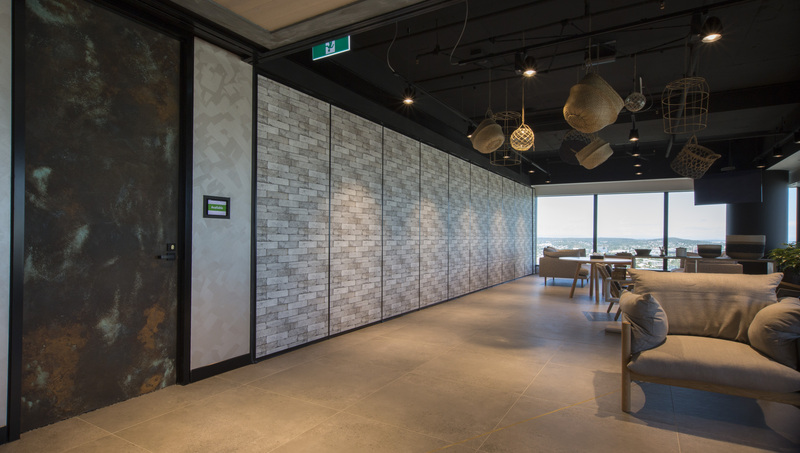 With several available options, we can construct your Operable Wall to meet a wide range of sound reduction needs. Our design requires no floor track however as an accessory you can choose the optional retracting floor seal for additional tolerance. Our 70 series panels are 75mm thick with a maximum width of 1200mm. The panels incorporate a 10mm trim around the perimeter of the frames with 20mm interlocking stiles. 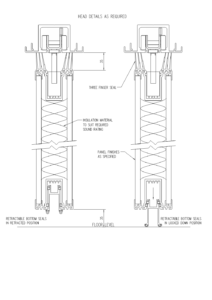 These stiles also include four vertical rubber seals to provide a complete airtight seal. Our 100 series panels are 100mm thick with a maximum width of 1200mm. The panels incorporate a 10mm trim around the perimeter of the frames with dual 20mm interlocking stiles. 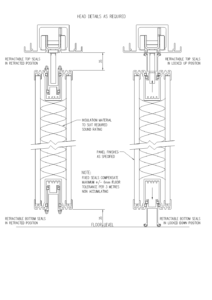 These stiles also include three vertical rubber bulb seals and two vertical PVC seals to provide a complete airtight seal. All Unifold Operable Walls are supplied standard with nylon tyred ball bearing four wheel carriers. Depending on the desired stacking, these carriers have the capability to guide themselves into the stacking bays for ease of operations. 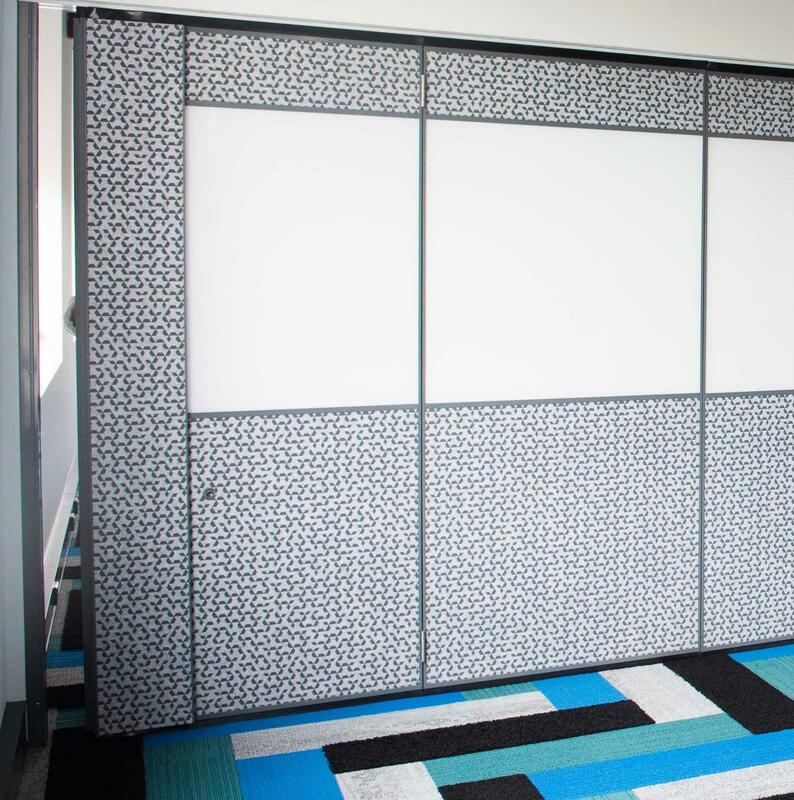 When your operable wall is retracted, there are several options for storing your panels. 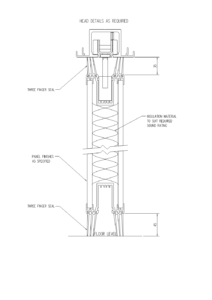 A center stack is the most simple and basic stacking option available. A side stack allows you to store the panels slightly off to the side of the main track, which would keep the panels from protruding into a hallway, for example. 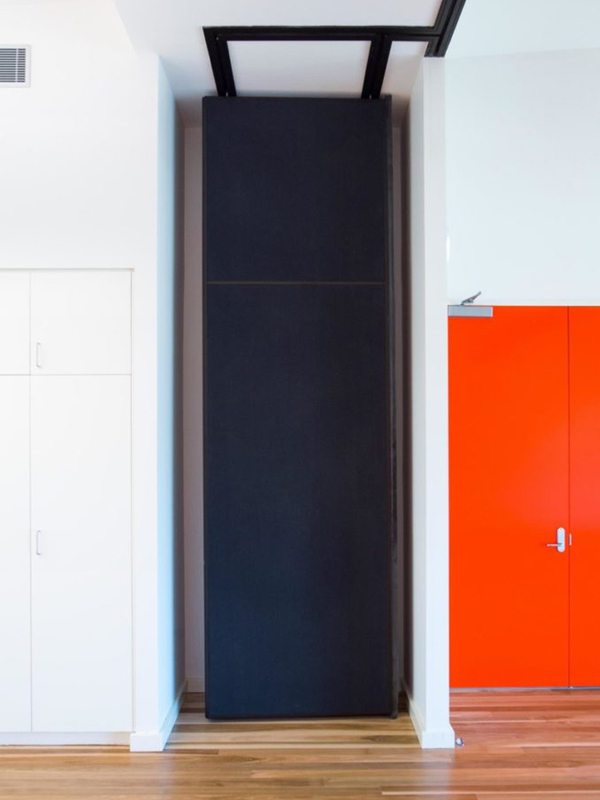 Lastly, a remote stacking option allows you to store the panels wherever you wish, such as a cupboard or stacking bay, which both protects the panels while also keeping them out of view. 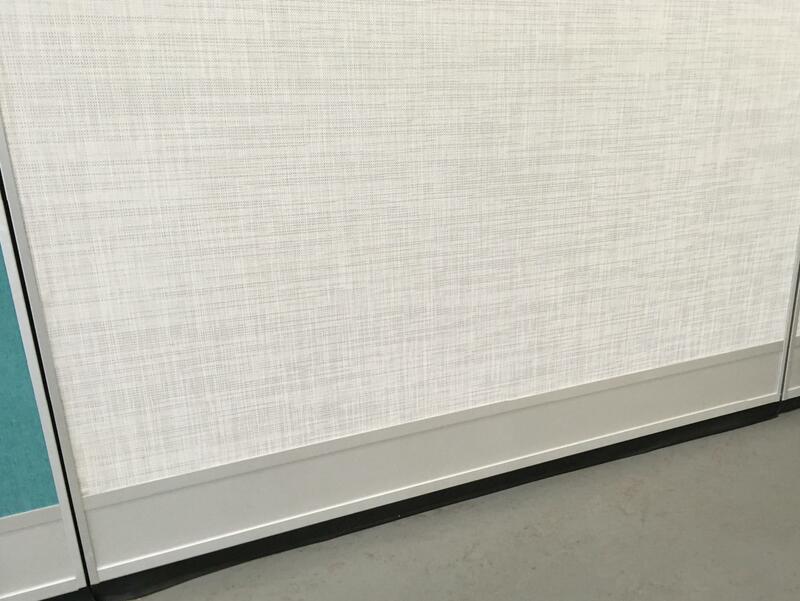 The typical insulated wall in a house has a RW rating between 34-39, so even our most basic operable wall will perform better than a standard wall. When you are deciding the best sound rating for your wall, it is important to consider a few things. As with all things, a chain is only as strong as its weakest link. In this case, the weak link will be spaces where sound can leak; such as through air ducts, or open spaces in the ceiling. 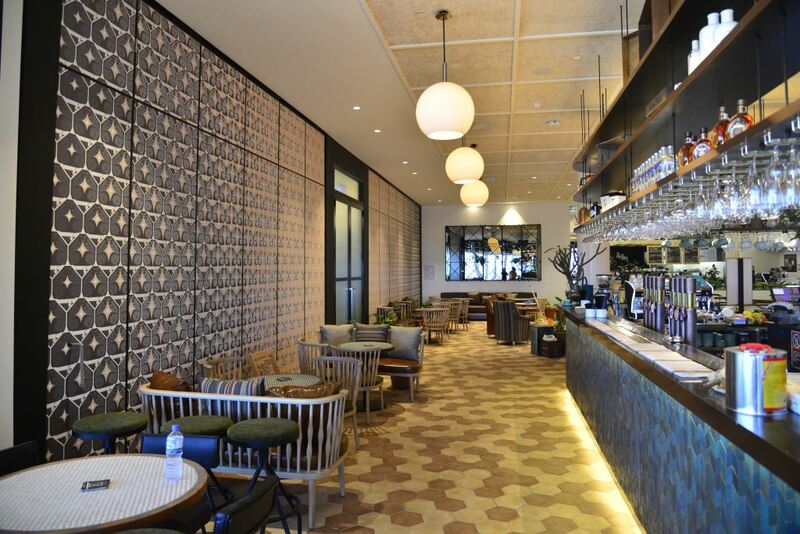 Make sure that you are picking a wall that will properly match the acoustics of your room. There are a few things to consider when it comes to the horizontal seals. The main factor will be your desired Rw rating (weighted sound reduction). The standard seal option for your operable wall is the three fingered rubber sweep seal. 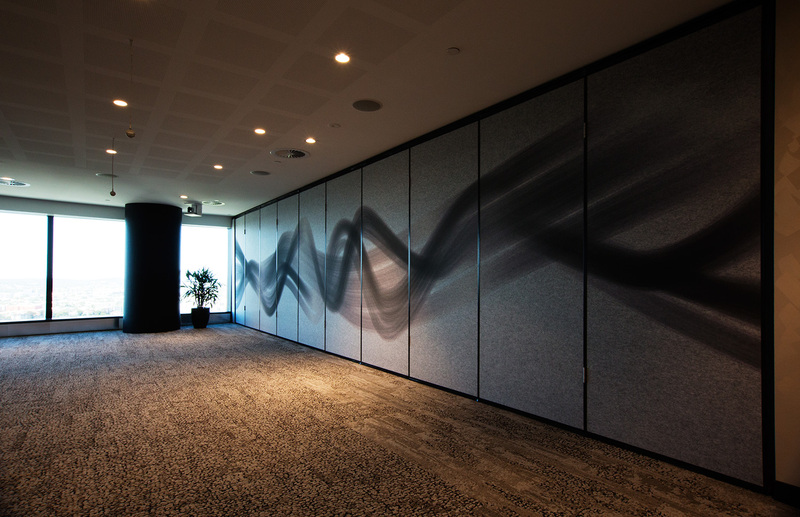 This seal is designed to make contact with the track and floor creating an acoustic barrier above and below the panels. 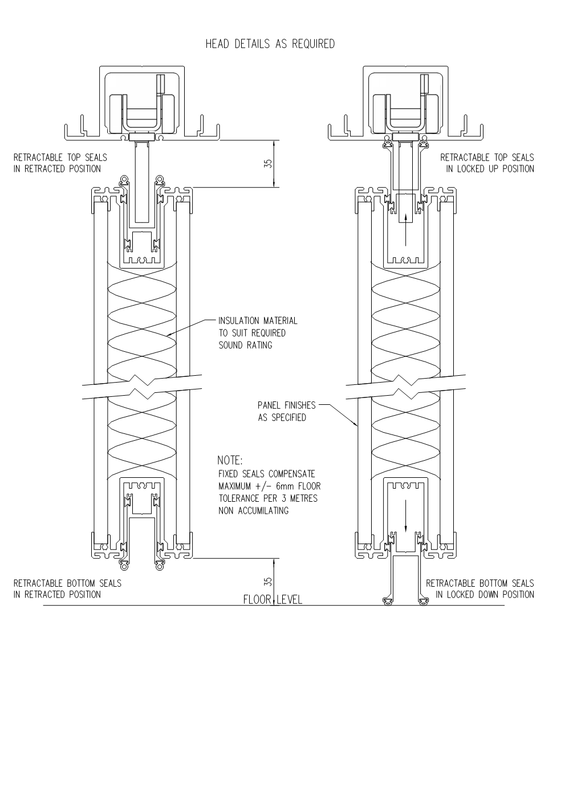 In the case of requiring a higher Rw rating, a retractable mechanical seal is preferred. 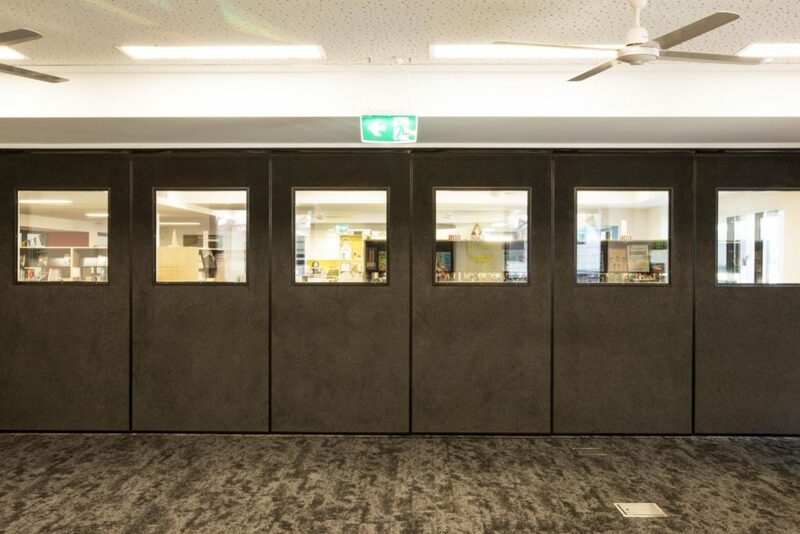 Operable Walls require no floor track so a main benefit of retractable bottom seals is to help provide lateral stability. These seals also provide ease of movement for floors out of level by up to 12mm. 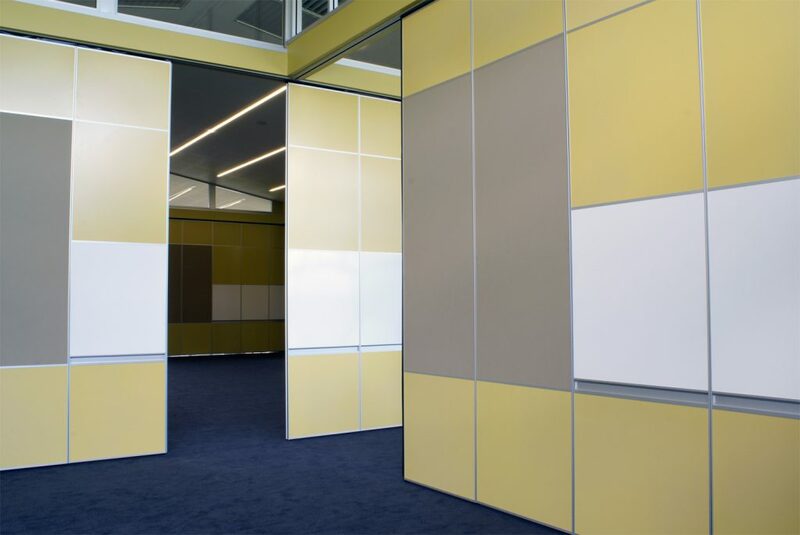 All our Operable Walls are custom made to suit your desired requirements although as a standard finish, you can choose from our wide range of vinyl colours. 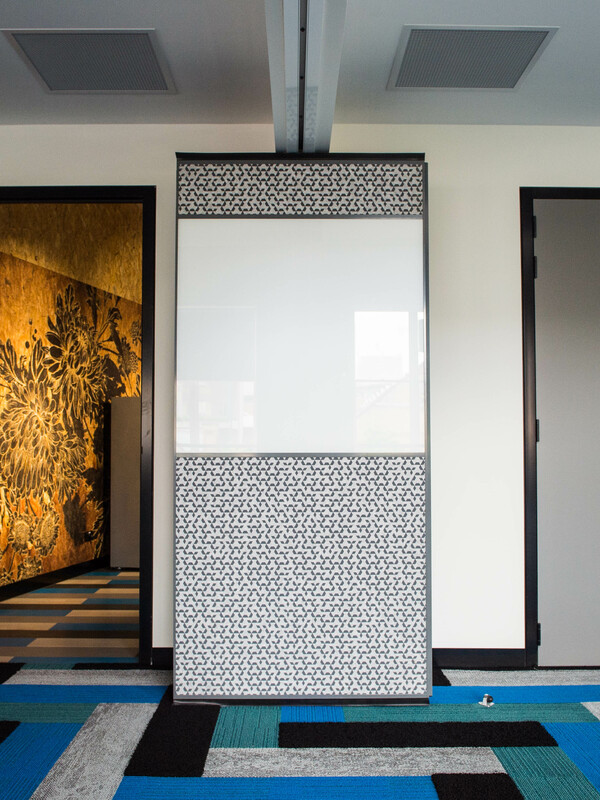 We have featured finishes such as magnetic whiteboard and pinboard or you can even find your own textile fabric that suits your space and we will fit it to your wall. 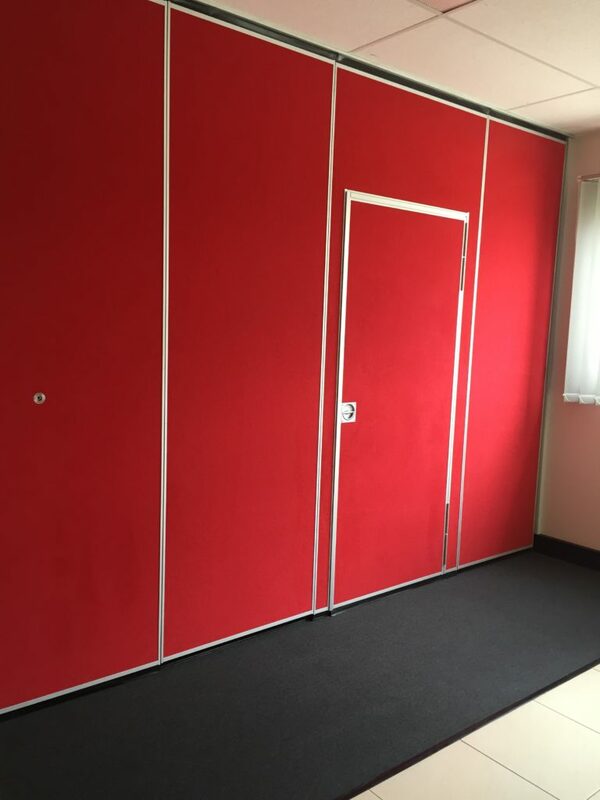 In the case of requiring a higher Rw rating, acoustic fabric is preferred. Our aluminium track and frames are supplied standard as natural anodised. If required, we can also have these powder coated to your desired colour for a professional high end finish to your wall. 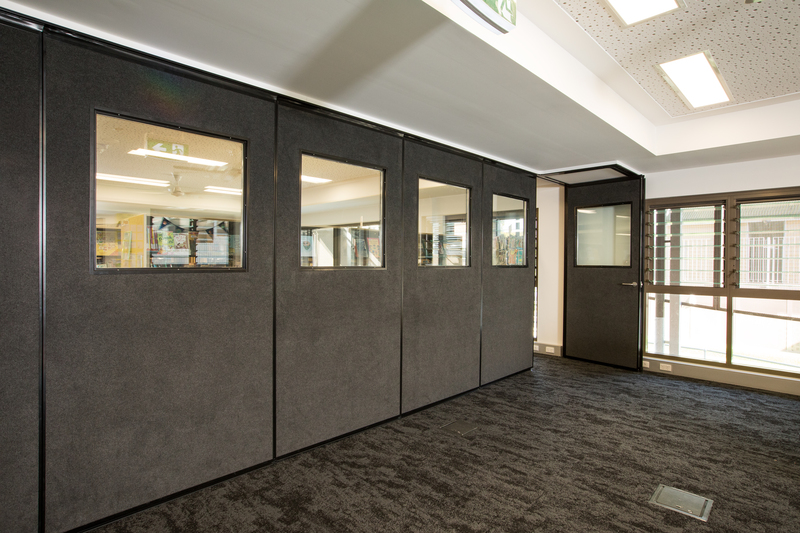 There are two standard closure options in order to acoustically seal the Operable Walls. The first option is an expanding panel with rubber bulb seals. 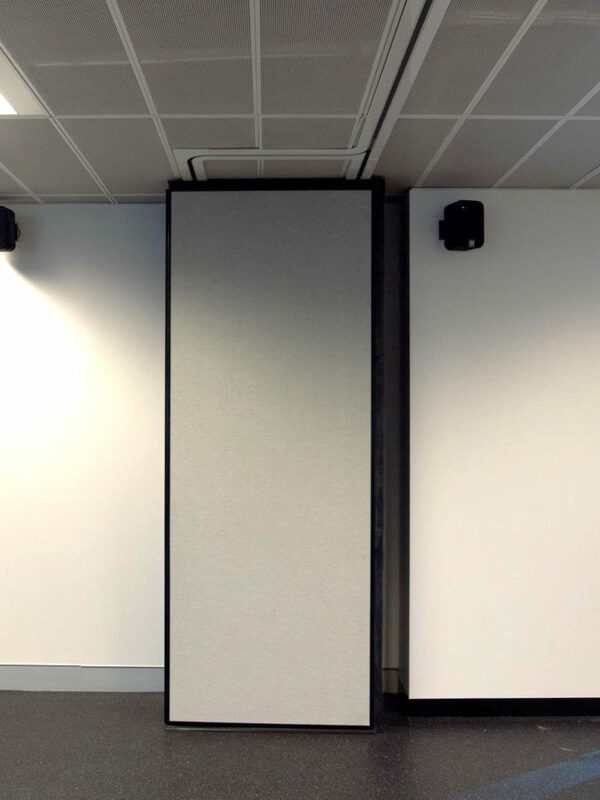 This is the standard closure when no pass door is required and incorporates vertical rubber seals at both ends of the wall to acoustically seal the opening. In the case of requiring a higher Rw rating, it is preferred this panel sits inside a cupboard. The second option is a jamb hung full height pass door. This is positioned as the last panel and is hinged off a fixed jamb. 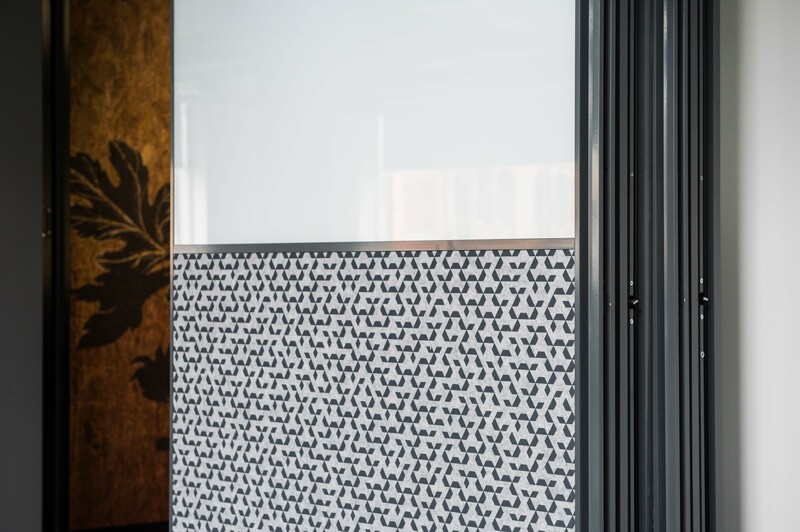 Both ends of the wall have aluminium jambs and a concealed foot bolt is incorporated in the panel adjacent to the pass door. 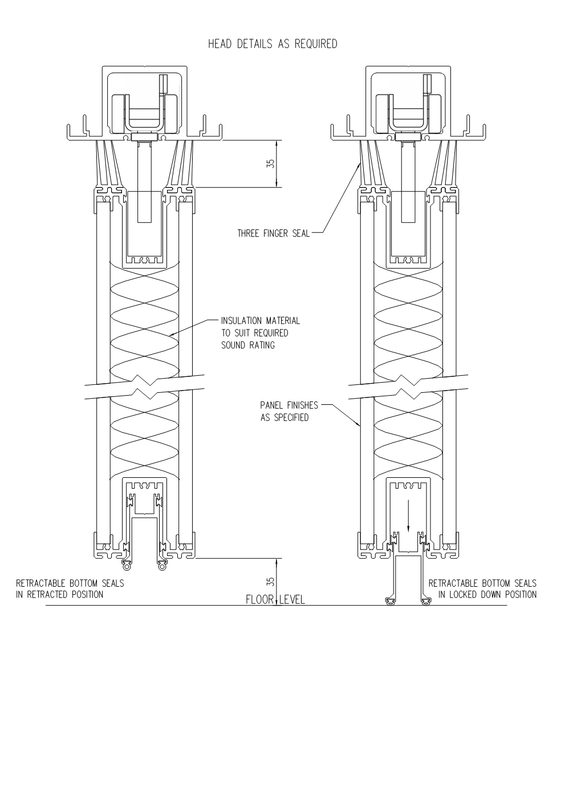 This is the preferred option when requiring a higher Rw rating as it eliminates potential acoustic weak points.